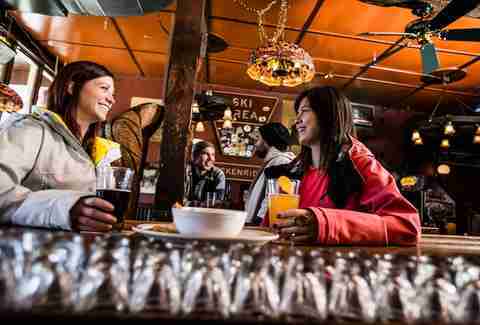 Whether you’re looking for a couple of craft beers to wind down or an all-night party mission, Breckenridge has plenty of pubs, clubs, breweries, and dives to keep you warm, because you can't spend ALL your time skiing. Below is a list of preferred drinking destinations, listed in relative order from après and happy hour stops, to post-midnight madhouses. If you have time, it’s worth the short trip up Airport Rd to check out the Breckenridge Distillery, an outfit that has produced plenty of award-winning spirits and is home to Billie Keithley’s Breckenridge Breckfast: Breckenridge bourbon; a dash of maple syrup; apple cider; and ginger ale served over ice, garnished with cayenne pepper, brown sugar-rubbed bacon, and a mini waffle, topped with a drizzle of melted blueberry butter. *If leaving Main St is out of the question, swing by their tasting room at 137 S Main for a free sampling. And never forget to tip your bartender! Speaking of tasting rooms, the Absinthe Bar at the Swiss Haven restaurant is the spot to score some green gold sourced from around the globe, in addition to an assortment of wild fondues. Though it’s pricier than your average stop, if you swing by during happy hour, absinthes and appetizers are half-price. A favorite among après addicts, Mi Casa is the favored Breck destination for a helping of inexpensive wings and well-crafted Mexican staples (there are also free chips and salsa during happy hour 3-6pm) to prime the stomach for a round (preferably more) of shots chosen from over 100 tequila options, the largest selection in Summit County. Should you head up Airport Rd, a visit to the newest brewery in town should be in order (just off Airport Rd on Continental Court). 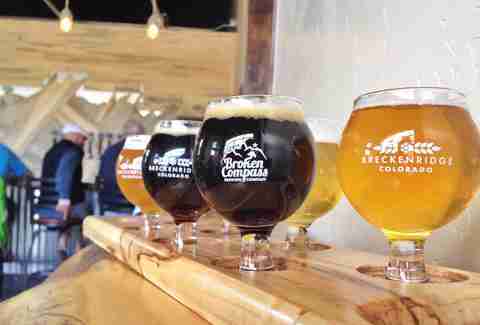 With a "bring your own food" concept and adventurous brews like the Chili Pepper Pale Ale and the Coconut Porter, Broken Compass has swiftly become a local go-to. 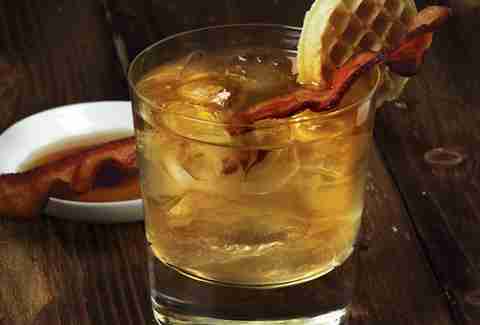 Born of the Colorado Gold Rush in the late 19th century, this mainstay is a booze miner’s delight. The legendary Gold Pan Saloon holds the longest operating liquor license west of the Mississippi and delivers a fine balance of blue-collar bar and Wild West nostalgia. Make sure to try the Ring Swing -- nail it first try, and win a free shot. Also, don't miss the Peak 6 Manhattan for a proper rendition of the classic. Trivia, $3 Jim Beam, Jäger, Tuaca, $2 Miller High Life, and PBR bottles all day, every day! 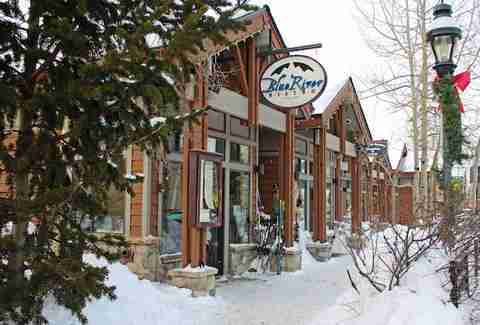 This place is like the ski bum’s church, with all the trappings of a proper dive bar. For all you aspiring singers out there, Jake’s hosts karaoke on Friday nights, and gives away a trip to Vegas to whoever displays the most impressive pipes. You’re likely already familiar with Breck Brewery’s line of beers (think Lucky U IPA, Agave Wheat, Avalanche etc. ), but with a trip to the flagship location, provided you play your cards right, you might just be able to score a taste of one their yet-to-be-distributed wonders from the "special tap." 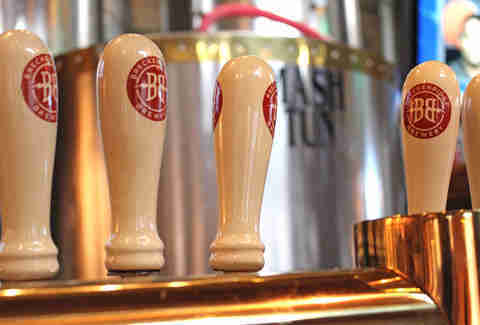 If you’re a hop enthusiast, take a stab at the 471 small batch IPA. Kenosha Steakhouse With 20 craft beers on tap, including Boulevard Brewing’s Tank 7 Farmhouse Ale (an excellently complex saison with 8.5% abv), this steakhouse is the beer lover’s mid-Main St pit stop. Note: if Margaritas are more your thing, swing on downstairs to Rita’s for their heralded Mango Marg. 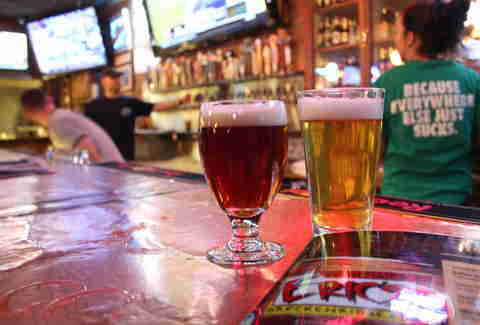 Keep the beer bash going with a round at Eric’s, home to 120 different beers (20 on tap, 100 in bottle), 14 TVs, more than a dozen arcade games, and the brilliant "bar cam," a webcam that grants you a preview peak of what you’re getting into. This spot is often packed. If you are headed to Eric’s to watch a game, or just for a weekend visit, it’s wise to show up early. With locations in Breck and Frisco, Ollie’s Friday night, featuring $10 all-you-can-drink wells and drafts, may be the best way to booze on a tight budget. 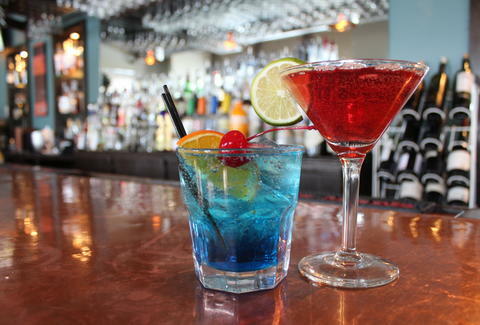 Also on the fancier/sit-down/late-night tip, Blue River Bistro offers two-for-one martinis and $3 drafts and domestic bottles during both of their happy hours, 3-6 pm and 9pm-close, 7 days a week. These deals are available at the bar only. Liquid Lounge Repent your sinful weekend at Liquid’s Sunday Midnight Mass: swing by before brunch (anytime before 11) and receive a ticket for your free "communion shot" at midnight. The Motherloaded’s Whiskey Wednesday is a favorite of the weeknight warriors: $3 Jim, Jack, or Jameson shots and drinks from 8-10pm. This self-proclaimed "pub that parties like a club" has a mean weekend schedule, with beer-pong Thursdays featuring $3 pitchers from 5-7pm and $5 the rest of the night, free well drinks for ladies on Friday night from 9-11pm ($3 after), and Saturdays packed with live music and $5 Rolling Rock pitchers. 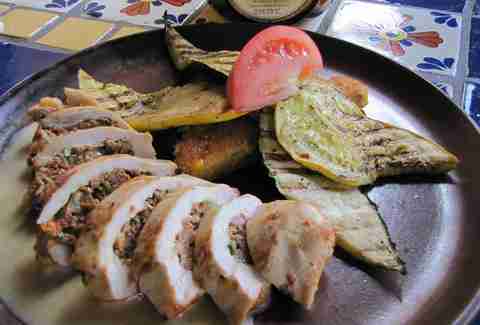 Cecilia’s (or locally, just "the club") may be the rowdiest room on the list. 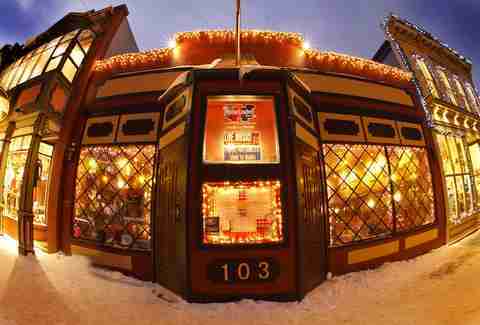 Cecilia’s features a classic hand-carved bar facing an extensive Scotch collection on one side of the establishment, and the largest dance floor in Breckenridge (replete with their infamous "dance pole") on the other. They also have a humidor, if cigar-smoking happens to be your thing. This section of town is generally the most packed, and if you’re looking to really get after it, the place to be. If a sit-down meal is desired on your Breck drinking excursion, consider The Dredge, a two million pound floating restaurant on the Blue River with excellent mountain views, a killer portabella sandwich, and late-night (kinda) drink specials running from 9-11pm. 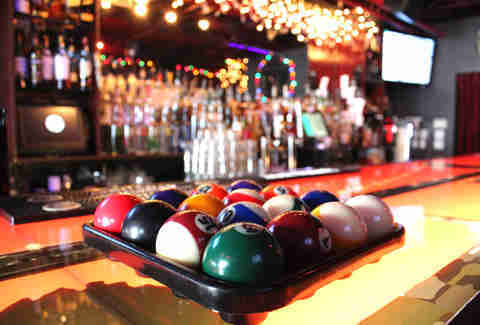 If you like your libations paired with table games, Brooklyn’s offers a nice alternative in the La Cima Mall area to the club-like vibes of Liquid Lounge and Cecilia’s, with 11 TVs, five pool tables, foosball, and pinball. 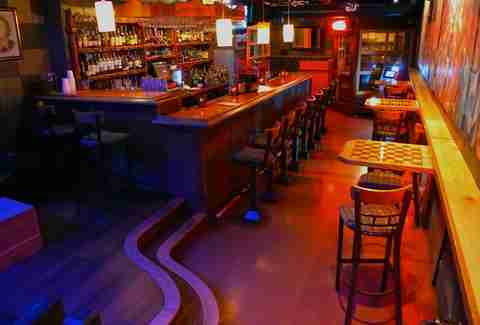 An oft-overlooked haunt, this historic hotel on North Ridge St is another gamer's paradise, with chess, checkers, backgammon, darts, pool, ping-pong, foosball, air hockey, and their Triple Crown Tournament — a chance to win a bar tab and cement your place as bar-game king. The Brown is also home to one of the best stacked jukeboxes in town (three plays for $1).